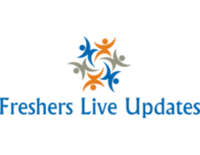 TCS Walk-In BA, BBA, B.Com, BBM, BBI, BAF freshers 2016 for Team Member at Mumbai. Candidates who have completed BA, BBA, B.Com, BBM, BBI, BAF can apply for this job from TCS . Venu Tata Consultancy Services, Nesco Complex, Hall no 8 (also known as Hall no F), Opposite Mahananda Dairy, Western Express Highway, Goregaon East, Mumbai – 400 063, Maharashtra. Candidates can Get the Team Member Post details such as Post name, Number of vacancy, Qualification, Job Description, Candidate Profile, Company Profile and etc., from the table given below. Venue: Tata Consultancy Services, Nesco Complex, Hall no 8 (also known as Hall no F), Opposite Mahananda Dairy, Western Express Highway, Goregaon East, Mumbai – 400 063, Maharashtra. Greetings from TCS – BPS(Business Process Services)!!! Quick overview about our organization. We are part of Business Process Servicing unit of TCS called as TCS BPS. TCS Globally has 300000 plus Employees with 230 Office in 46 countries with a revenue of $15.50 Billon (2014-15). TCS BPS amounts to 70000 employees. Currently we offer services across 13 domains & 5 horizontals such as Aerospace | BFS | Insurance & Healthcare | Life Science | Manufacturing | Energy & Resource Utilities | Government | Hi Tech | Media & Information Services | Retail & CPG | Telecom | Travel & Transportation and Hospitality| Horizontal Services such as F&A, SCM, CIM and HRO. TCS was ranked no.1 in India’s Most Respected Companies survey conducted by the Business World magazine. The number of female employees at TCS has crossed the one-lakh mark, making it the country’s biggest employer of women in the private sector. Walk-In Address:- Tata Consultancy Services, Nesco Complex, Hall no 8 (also known as Hall no F), Opposite Mahananda Dairy, Western Express Highway, Goregaon East, Mumbai – 400 063, Maharashtra.